This is a smooth, elegant plant, five or six feet high, with a large perennial root. The leaves are dark-green above, pale beneath, ovate, and about two or three inches long and an inch wide. Corolla white, calyx five-cleft, and stamens five. Fruit a follicle. Every part of the plant is milky. Apocynum androsaemifolium var. griseum (Greene) Bég. & Bel. 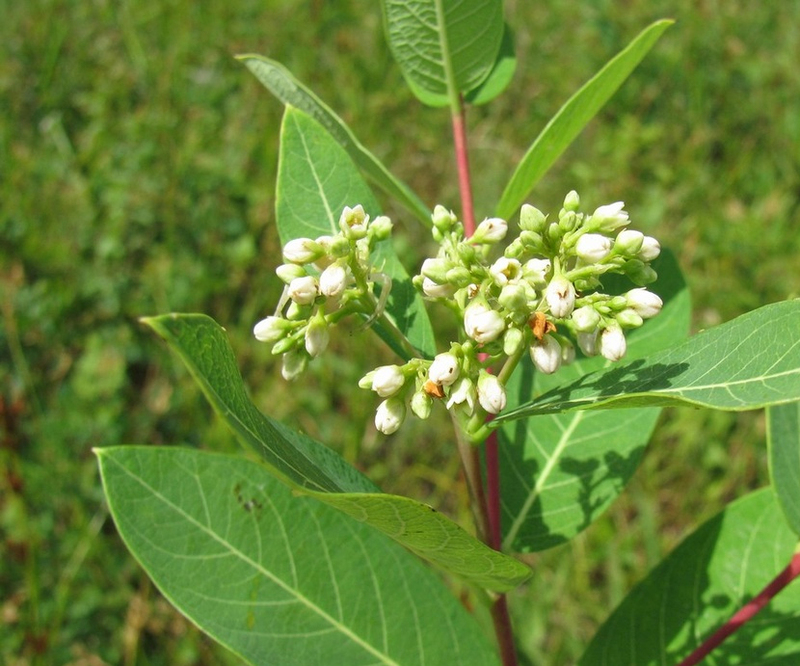 Apocynum androsaemifolium var. incanum A. DC. Apocynum androsaemifolium var. intermedium Woods. Apocynum pumilum var. rhomboideum (Greene) Bég. & Bel. Apocynum scopulorum Greene ex Rydb.